After decades of being maligned and overlooked, New Zealand crime writing is flourishing right now. But I want more. There are good signs everywhere: the media is regularly featuring our masters of murder and mayhem in reviews and articles; local crime novels are becoming bestsellers and picked up for overseas deals and translations; and more and more talented authors of all styles are choosing to write crime and mystery tales for the first time. The Ngaio Marsh Award long-list is becoming deeper and more varied each year, and the judges are having a heck of a time picking the finalists, let alone the winner - there's so much good writing out there. But like a bear that's got a taste for honey, I want more. More crime-loving local readers giving our own authors a go, more distribution of our great tales overseas. More recognition and respect. I want one more thing: some of our local crime writing talents who've stepped away to come back to the game. Let me explain: three years ago Paul Thomas - Godfather of modern Kiwi crime, 'Elmore Leonard on acid', one of the finest crime writers around, etc - published his first Ihaka novel in 15 years, DEATH ON DEMAND (2012). It went on to win the Ngaio Marsh Award. He'd taken a winding road back, via sports biographies, media columns, and screenwriting. Always writing, just not crime. Likewise, it was fantastic to see Joan Druett recently continue her superb Wiki Coffin series (set on the 1800s high seas), after a hiatus of several years that was filled with short stories and much-acclaimed maritime-themed non fiction. THE BECKONING ICE was longlisted for the Ngaio Marsh Award. But other terrific authors have turned away from crime and not yet returned. They are Thomas or Druett mid-hiatus, working on other writings and other projects. Letting the demands of life steal their time, and worse, steal new crime tales from the voracious crime and mystery fans out there. 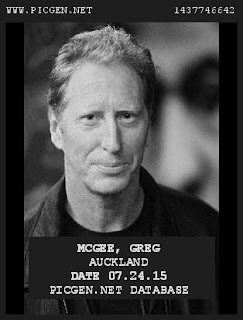 So over the next month I'll be delivering my 'most wanted' list of Ten New Zealand crime writers who should be locked to their desks until they deliver us another crime novel. In a five-year period starting in 2007, Symon delivered four gripping books featuring Sam Shepherd (one of the most engaging female characters in New Zealand literature), then a dark and twisted standalone, The Faceless, to rival the likes of Linwood Barclay, Harlan Coben, and Gillian Flynn. Then the three-times Ngaio Marsh Award finalist stopped: purportedly to work on a PhD examining Dame Ngaio's use of poisons in her novels. Time-consuming for sure, especially combined with looking after a family, reviewing books for radio, delivering the Ngaio Marsh Memorial Lecture, and skewering opponents on the masters' fencing circuit. En garde! I have some sympathy. Some. But it's a crime that we haven't had any new Sam Shephard tales in almost five years now. Like Ihaka, she's too good a character to disappear forever. 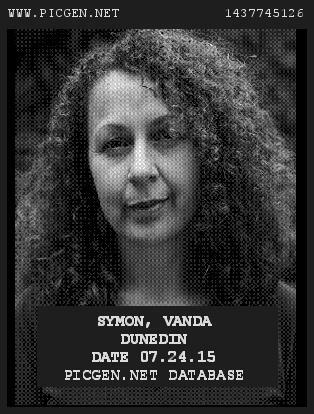 And Symon is too good a crime writer. Back in 2011 she told me, for a feature in Canvas magazine, that she took great joy in dropping Sam into all sorts of nasty situations, and seeing how she'd get herself out of them. Well then Ms Symon, it's time to find your happiness, put fingers to keys, and drop Detective Constable Shephard back in the proverbial again, methinks! Another reprobate from Otago, although McGee calls Auckland home nowadays - when he's not winning Katherine Mansfield fellowships and swanning off to Menton to write sweeping epics that deservedly have the critics atwitter (The Antipodeans). McGee vaulted into the local crime writing scene back in 2009 with the startlingly good Cut & Run. Who was this mysterious 'Alix Bosco', a "successful writer in other media", we wondered. My money was on Rachel Lang, a talented TV screenwriter, given the heroine's strong voice, city/suburban Auckland setting, cover quote from Outrageous Fortune's Robyn Malcolm, and the cinematic storytelling in this excellent debut. A couple of years later McGee, the former Junior All Black, playwright of classic rugby-themed Kiwi play Foreskin's Lament, and screenwriter (at least I got that part right), outed himself as Bosco in the lead-up to the 2011 Ngaio Marsh Award event. He was a finalist for his second Alix Bosco book, Slaughter Falls. He'd won the inaugural award the year before for Cut & Run. Five years on from Slaughter Falls, we're still waiting for a third tale featuring legal researcher Anna Markunas. Like Sam Shephard, she's a layered and complex heroine, really fun to read about, and has many more stories to tell I'm sure. It's not like McGee hasn't been busy in his un-closeted interim: he wrote the bestselling biography of arguably the greatest rugby player of all time (Richie McCaw), a fine novel under his own name in Love & Money, and now The Antipodeans, described as "wonderful" by reviewers. Like Val McDermid, Tokoroa-raised Stella Duffy first broke through with a groundbreaking crime series starring a strong and engaging lesbian protagonist. After 1994's Calendar Girl, Duffy went on to write four more Saz Martin books - the last (so far) being 2005's Mouths of Babes. But unlike McDermid, Duffy hasn't continued with her crime novels. Instead, over the past 20 years the multi-talented Duffy has produced a staggeringly impressive resume of projects across the creative and charitable spectrums. Along with her five crime novels, Duffy has written eight literary novels, two of which were longlisted for the Orange Prize. She's twice been the Stonewall Writer of the Year, and has also edited the anthology Tart Noir and twice won the CWA Dagger for Best Short Story. So there's been a wee bit of crime apart from the Saz novels. The former Victoria University drama student has also acted on stage and screen, been a comedian and improv artist, written many stage plays, and directed many others - including Murder, Marple, and Me. If that wasn't enough, she's battled cancer, toured her solo show Breaststrokes in several European cities, and been a driving force behind Fun Palaces, a movement to encourage community engagement with creativity and the arts which saw 138 'laboratories of fun' created by local communities across Britain last year. 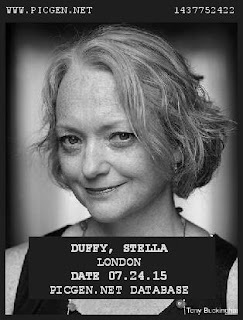 I think if we tried to handcuff Stella Duffy to her desk, she'd just break the chains. The woman's a creative dynamo, and an inspiration. So it's just as well that word on the street is that she's already working on a new crime novel. I don't know where she's finding the time, but I'm very glad she is. Back in 2010, as the Ngaio Marsh Award was launching, then Sunday Star-Times Books Editor Mark Broatch wrote a feature looking at the state of New Zealand crime writing. 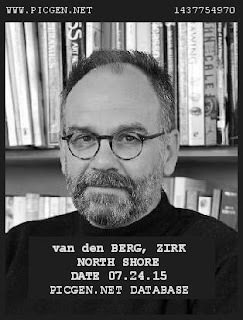 In that article, renowned editor and literary critic Stephen Stratford told Broatch (now New Zealand Listener Books & Culture editor) that he was "still waiting for a new novel from Zirk van den Berg whose outstanding Nobody Dies came out in 2004". I've since read Nobody Dies, and Stratford is spot-on. It's an outstanding crime novel, a searing tale centred on a loner who's thrown into the witness protection programme in South Africa after witnessing a murder, unaware the cop in charge has taken it upon herself to eliminate her charges in a more permanent manner. In a Herald on Sunday review in 2012 I called it "an absorbing, tense tale that brings the expanses of South Africa to life on the page, along with the grey areas in human hearts and minds." Back in 2004 it's release caused the Listener to ask if van den Berg was New Zealand's best thriller writer - after only one book! And it was rated a Top 5 Thriller, globally, by the New Zealand Herald. Despite it's acclaim, Nobody Dies fell out of print, in print, though van den Berg resurrected it in ebook form a few years later, and also published another thriller in ebook, No Brainer (2011). The recent Afrikaans translation of Nobody Dies won the kykNET-Rapport Prize as Best Filmable Book. But van den Berg hasn't written any thrillers in the past few years, instead concentrating on his communications business, and writing his historic drama/war and love story, Half of One Thing (2014). That's all well and good, but whether it's a thriller set in Africa or in his adopted home of New Zealand, we need another crime tale from Zirk van den Berg. He's just too good to just stop. For a period from the mid '90s onwards, Chad Taylor was the author who, alongside Paul Thomas, dragged contemporary Kiwi crime writing into a darker, grittier place. His superb tales of urban noir crackled with venom and were powered by skillful, stylish prose. Thomas and Taylor were a long way away from Ngaio Marsh and Laurie Mantell's decidedly cosy tales. 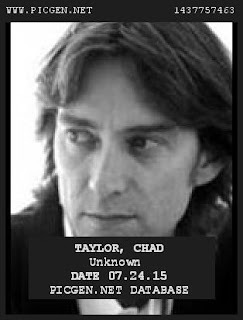 Taylor kickstarted things with his intriguing novella Pack of Lies (1993), and followed that up with Heaven (made into a film by Miramax), Shirker (2000), Electric (2003), and Departure Lounge (2006). Taylor received widespread global acclaim for his 'neo-noir' novels, which both danced eccentrically in and around the edges of 'crime and mystery', and subverted the genre too. Leading UK critic Maxim Jakuboski called Taylor's work "entropy noir" and "hypnotic". The Washington Post's Pulitzer Prize-winning critic Jonathan Yardley compared Taylor's stylised storytelling to Chandler, saying "cool certainly is the word for him, but there's a good deal of heat beneath". Unfortunately for us, Taylor hasn't published any novels since 2009's The Church of John Coltrane. In a 2010 interview he mentioned he'd just finished writing a "noir, very hardboiled" novel, "Tijuana Bible", but I can't seem to find any trace of that book ever being published. In recent times, Taylor has written a sci-fi/noir film REALITi, which was nominated for several 2014 New Zealand Film Awards, including Best Screenplay. 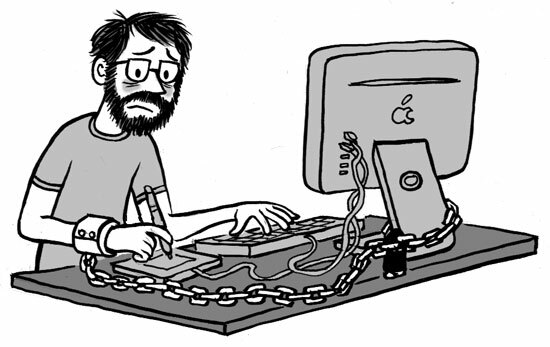 Perhaps it's time for Taylor to return to his noir novel roots - though chaining him to his desk and forcing him to write a crime novel sounds like something he might do to his own characters. The rest of the "10 Kiwi Scribes who Should be Chained Up until they Write Another Crime Novel" will be named here on Crime Watch in the coming weeks. I hope you've enjoyed this op-ed piece - I'd love to hear your thoughts on the writers above, or other New Zealand or international crime writers you want to return to the page. Join the discussion and leave a comment. Great stuff. stella Duffy is 'new' to me so I'm off to check out her books. I too am ready for another of Vanda's stories.